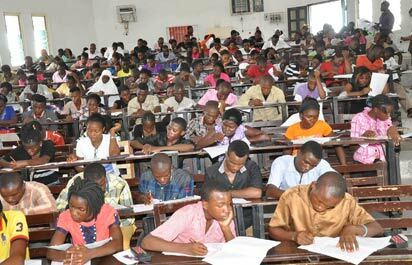 We Carry Last: Why Nigerians Fail Exams – Royal Times of Nigeria. My people, we have a serious problem. According to the head of the WAEC office, 83% of Nigerian students failed the WASSCE examinations this year. Failure appears to be the norm amongst Nigerian students. But who is to blame? Even more shocking is the fact that teachers aren’t any better. In October 2017, 21,780 teachers in Kaduna were to be sacked for failing a Primary Four test. In 2013, Governor Oshiomole discovered a teacher in Edo State who could not read his own certificate. These incidents are highly embarrassing for all of us but the teachers themselves are not to blame. What we are seeing here is a cycle of failure that both begins and ends with poor education standards. Because teaching staff have limited access to resources, they pass incomplete education on to their students. Some of these students then go on to be teachers themselves, continuing the cycle with the next generation. But the cycle ends here. If we continue to accept inferior standards of education as the norm, we are doomed. Purging the education system of under-qualified teachers is an excellent first step, but it leaves nothing but a pedagogical vacuum to be filled. If we would like to stop carrying last, we must demand for more schools. In addition to that, better pay for teachers as an incentive to keep education standards high. Furthermore, we must call for more government funding of independent research, more government support for local textbooks and education material, and even free universal education. With our resources, we are more than capable of achieving this. Nigerian students may also be facing the effects of the economy. As we have seen, child labour is a serious issue in Nigeria. Several students are withdrawn from school so they can contribute to the household income. Where students are allowed to stay in school, they come home to engage in strenuous jobs that leave them with little time for schoolwork or necessary cognitive processing. The issue is therefore twofold: a need for further protection of child rights, and an increase in education standards. We must tackle both if we want to stop carrying last. May God bless our country, Nigeria. Funmilayo Adetokunbo A-A, a political and International Affairs Analyst, writes from Somerset, England, United Kingdom.